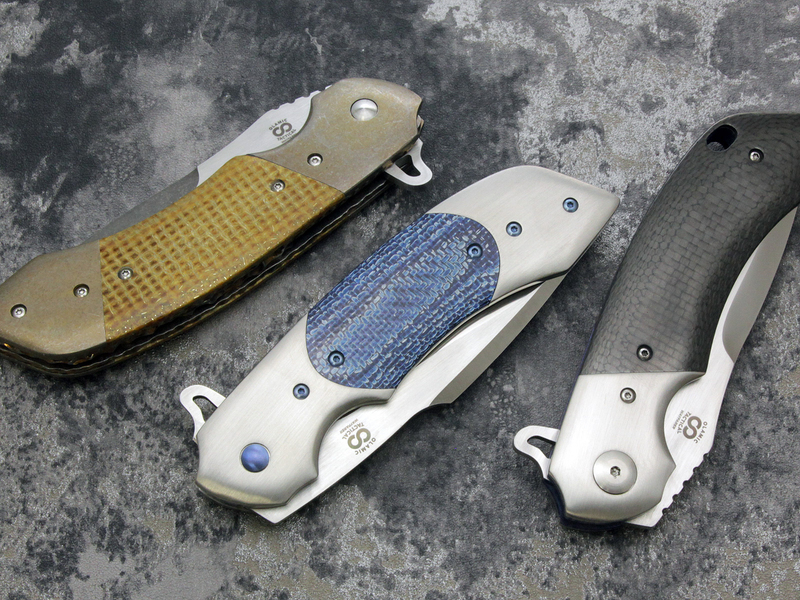 The Wayfarer was Olamic Cutlery's first venture into folding knives and this Mike Vagnino design couldn't have been a better jumping off point. 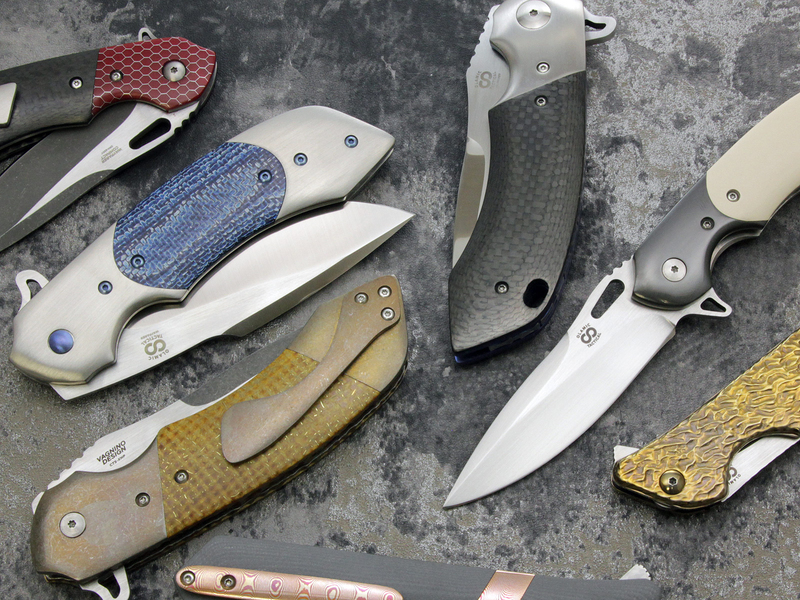 It's a very well balanced, fast, and strong tactical folder with beautiful lines and an extremely comfortable feel. 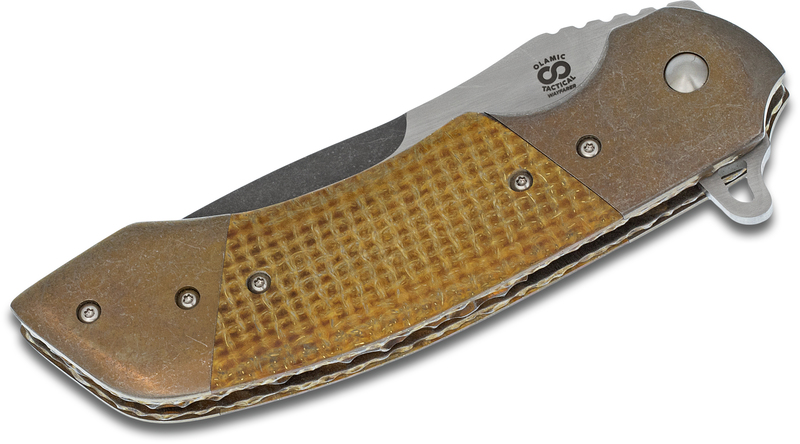 The 4" hand ground CTS-XHP stainless steel blade has a two-tone acid washed finish and rides on a caged bearing system for a supremely quick deployment using the flipper. 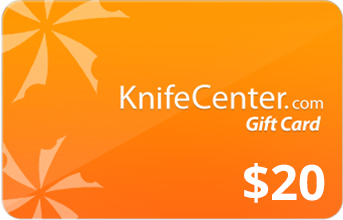 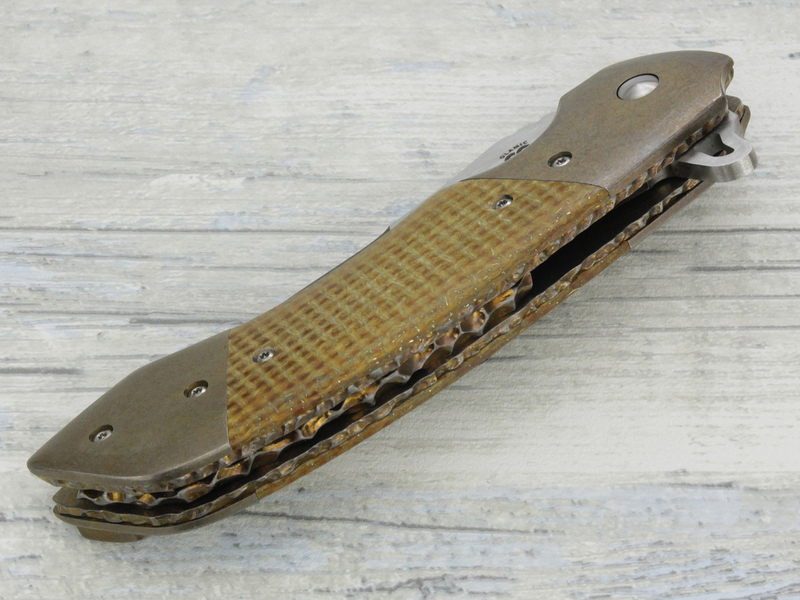 The bronze file worked titanium liners, nugget backspacer, and its Torx screw construction give the knife durability and strength throughout. 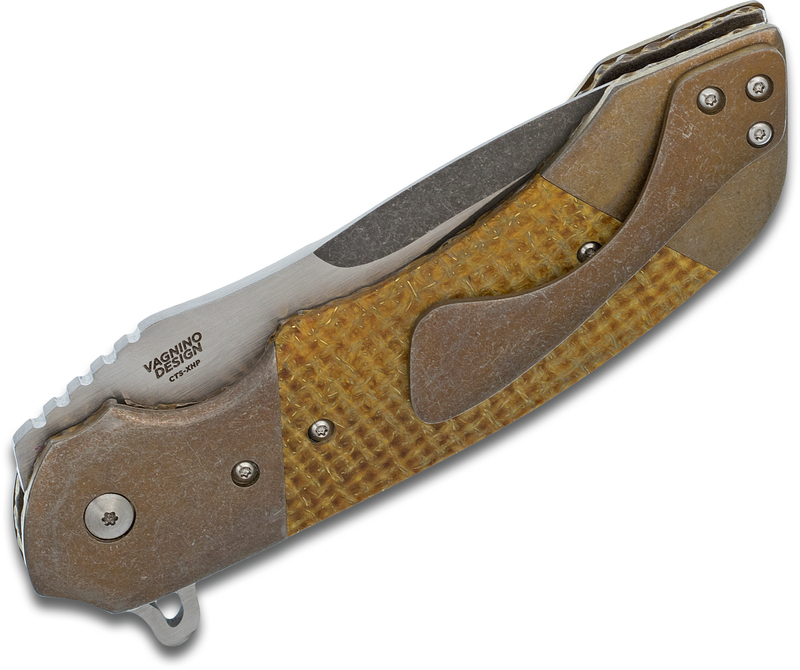 The handle is made from thunderstorm kevlar with dual bronze stonewashed titanium bolsters and a matching pocket clip. 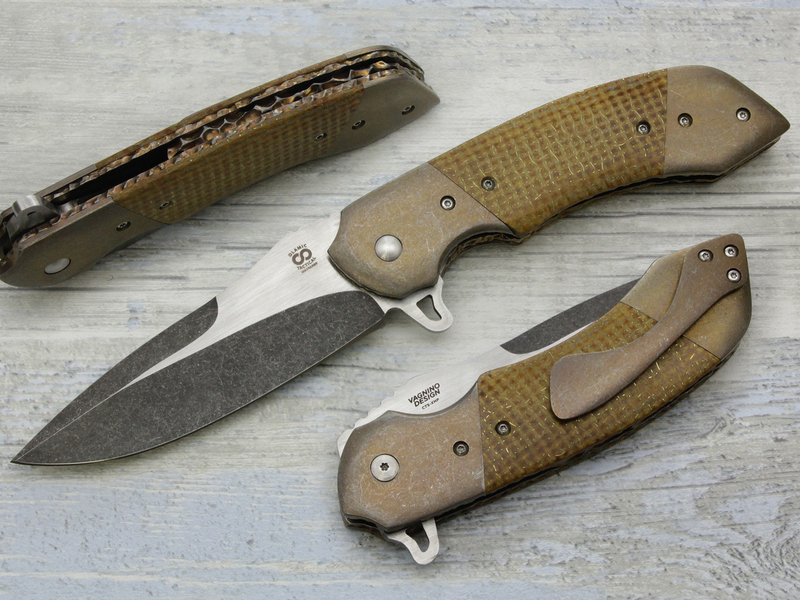 This is a one-off custom knife you will not be able to put down the action is so darn nice. 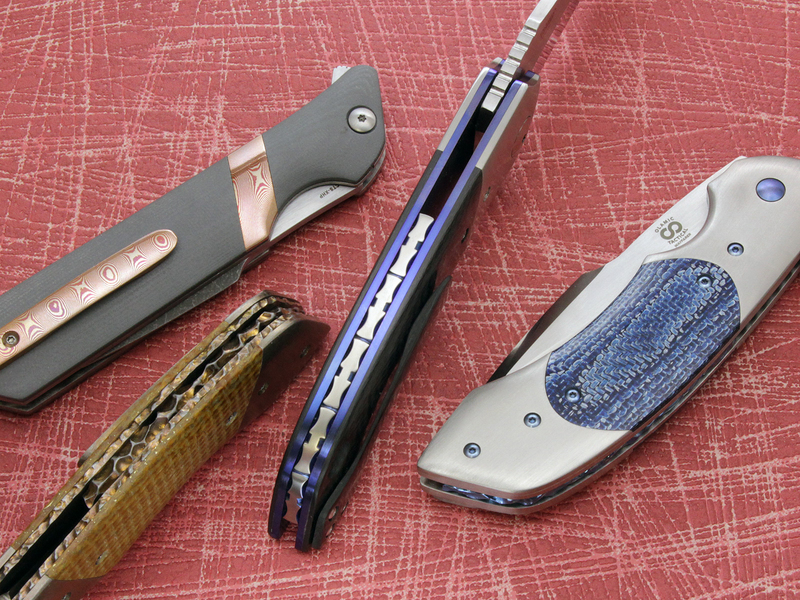 It comes with ultra-functional jimping on the thumb ramp, a certificate of authenticity and a nylon Olamic zipper pouch to keep it all together. 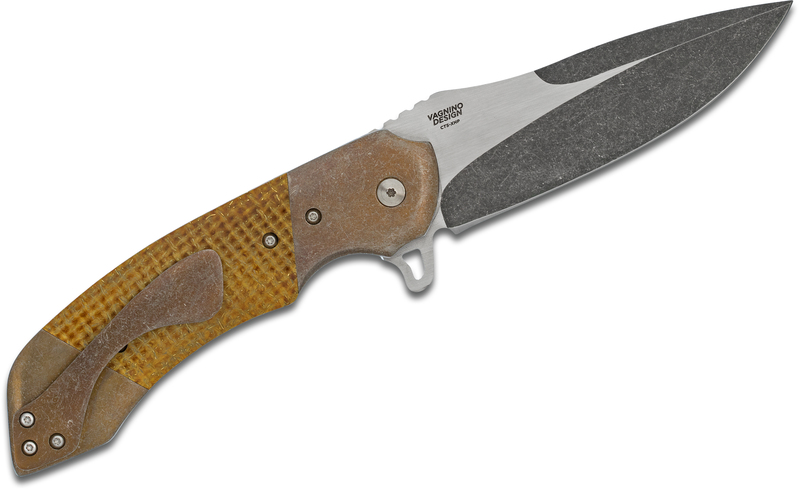 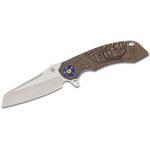 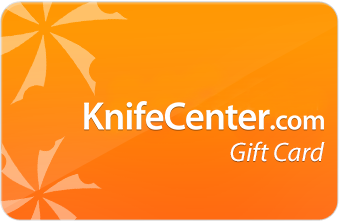 Hey, I wanted to share "Olamic Cutlery Custom Wayfarer W1005 Flipper 4 inch CTS-XHP Two-Tone Blade, Thunderstorm Kevlar Handles with Dual Bronze Titanium Bolsters" with you from KnifeCenter.